I’ve been thinking about it for a long time, what should I focus on next.. I like to choose something then go for it, spend a lot of time with it until I know how it works and can use it for the things I want to do. 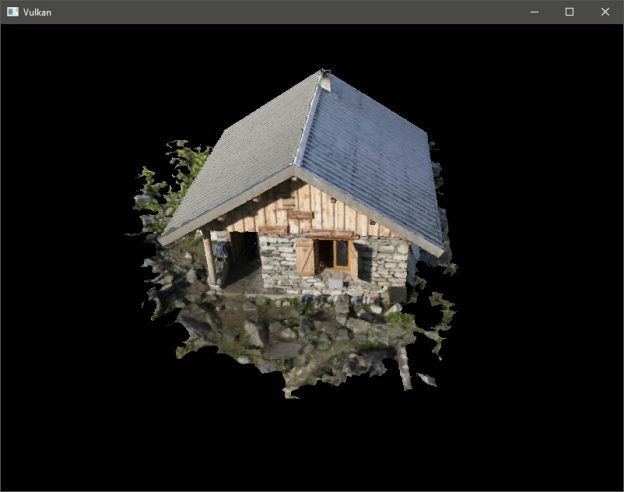 I’ve been working with Ogre3D for the last 7 years, and now I feel the need to dive a bit deeper into real-time graphics, I never really spent time learning Direct-x or OpenGL, so after giving it some thought I decided to spend time with vulkan instead. It feels natural to do that, because it’s new but already used by major companies. Feel more like the future. The best part about it is that it’s fully open source and cross-platform. I have now gone through the tutorial at https://vulkan-tutorial.com/ , awesome resource if you want to get started. The result from going through that is loading this model from .obj file and show it on the screen. You get a great introduction to all the basic things that has to do with vulkan development. This entry was posted in linux, vulkan on May 28, 2018 by Stig Atle steffensen.